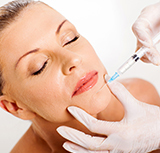 Botox is a brand name of a purified toxin produced by a form of bacterium known as Clostridium botulinum. 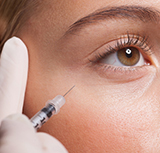 Scientists have developed a method of diluting the toxin so that it loses its toxic properties while retaining its ability to cause muscle relaxation and smoothening of wrinkles. Hyperhidrosis is a pathological condition that is characterized by excessive sweating unrelated to increased physical activity or rise in temperature. 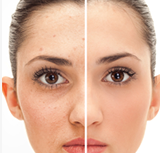 If your skin colour has become dull due to decreased blood flow, your facial features are demonstrating slight volume loss due to droopy musculature and decreased collagen, and you have lost the pink glow of health that radiates from youthful skin, you may be an ideal candidate for Platelet Rich Plasma (PRP)/Dracula Therapy/Vampire Facial therapy. A tear trough is a depression or groove that runs from the inner corner of your eye, down and across your under-eye area. 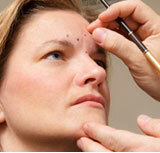 It often looks like there is a dark circle under your eye and gives your face an aged or tired appearance. 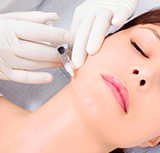 A non-surgical nose job is a cosmetic procedure that improves the contour of your nose. 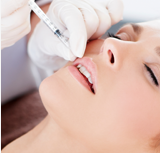 This is done by injecting a soft tissue filler into certain areas of your nose to create an aesthetically pleasing appearance that is in harmony with the rest of your face. 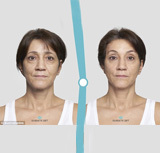 Chin enlargement is a non-surgical chin enhancement procedure that improves the balance and symmetry of your face. 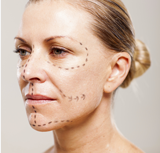 SILHOUETTE SOFT is a non-surgical, minimally invasive treatment used to redefine facial contours. 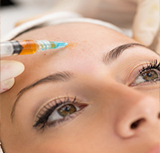 PROFHILO is a first of it’s kind injectable hyaluronic acid treatment formulated to plump and remodel lax skin and boost hydration from within. 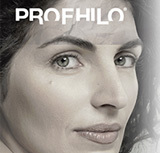 Unlike dermal fillers (which also consist of hyaluronic acid), Profhilo does not change the structure of the face. 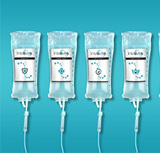 INTRAVITA DRIPS are designed to improve physical, mental and emotional well-being. If you wish to be advised on the most appropriate treatment, please call the 0207 467 8438 0207 467 8438 to schedule an appointment or click to request an appointment online.